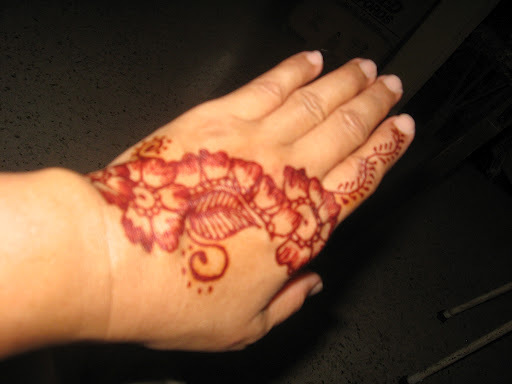 Went down town yesterday to see what I could find at the “Refugee Carnival” that was held in the New World Park on Burma Road, near the Giant Supermarket, and came back with something I never anticipated having … a henna design on my hand! It was done by Aini from Tanjung Tokong. She’s been doing this as a part-time occupation for a few years now. This is a new cultural experience for me as I’ve seen Indian and Malay women decorate their hands and feet with henna design but it didn’t occur to me to try, up to now. There were quite a few kids and parents from the refugee community. The kids entertained the crowd singing popular English songs. And participating in a drawing competition. And here are some toddlers, I couldn’t resist snapping. Sweet dreams and bliss in Mum’s arms. It was a pretty good day for them and for me. Just a break for them from the everyday grind of being a refugee, to feel human and normal for these few precious hours.